User needs a list to track issues. They also want to be able to attach a document to this issue. If this attachment was mandatory I would be able to create a document library, but since it is not I can use a Custom List. Is there any way I can create an "Attachment" column in a list? 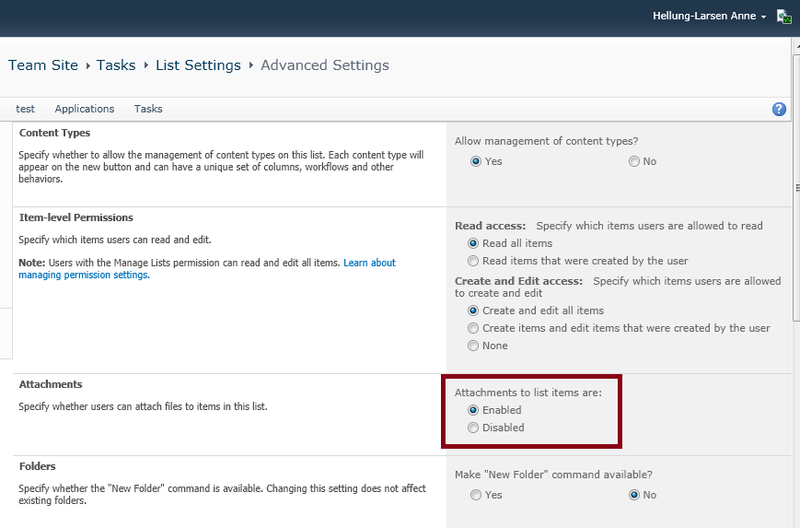 Create custom list, and then enable attachments from List Settings -> Advanced Settings. This will automatically add a column of type Attachments to the list. But there is no way to have two columns of such type in a list. 1) Simply use list attachments. No way to make them required, but they are there. 2) Use InfoPath. In an InfoPath form you can add an attachment field that allows a user to embed their attachment in the form (doesn't go to a SharePoint column, would need to open the InfoPath form to view the attachment). 3) Use a document library. If you have enabled attachments, you can see "Attach File" option in the ribbon bar when you click on "Add New Item". You can attach file by clicking this button. See below screen shot for reference. Hope this helps to you. Not the answer you're looking for? Browse other questions tagged sharepoint-enterprise column custom-list or ask your own question. Can I edit a LOOKUP column? 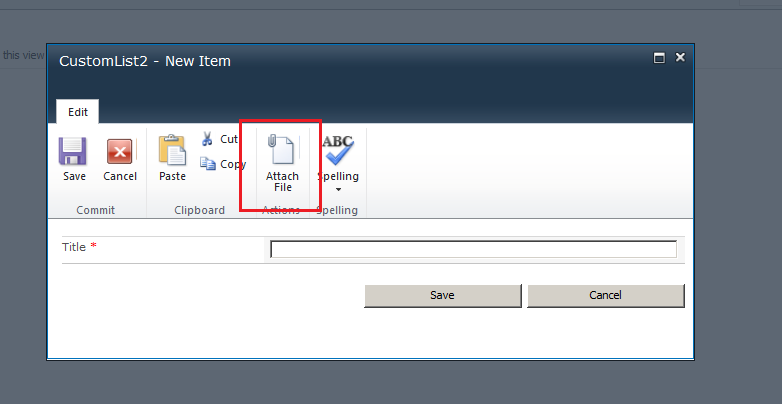 How to stop multiple file attachment in SharePoint list item attachment?